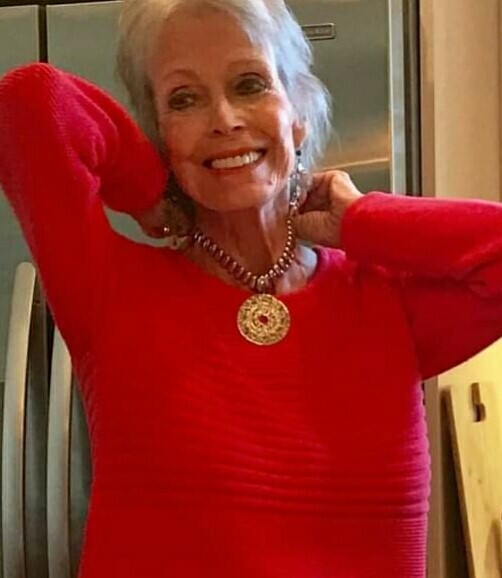 Gloria Yarnell Wright, age 74, passed away in her Bluffton, SC home, Dec. 21, 2018 after her battle with ovarian cancer. Formerly of Columbus, OH, Highlands, NC and Bonita Springs, FL, Mrs. Wright was born, Gloria Jones, Nov. 14, 1944 in Anderson, IN. She spent her career, first as a business administrator in Columbus, OH while raising her son, Lance, then as a licensed massage therapist in Bonita Springs, FL. After retiring, she enjoyed golf, traveling with friends, her grandchildren and three decades of sobriety, helping others with her experience, strength and hope. She was active with the sober community of women in both Highlands, NC and Bonita Springs, FL. She and her husband were members of Maye River Baptist Church in Bluffton, SC. Gloria attributed her strength and happiness to the generous women who introduced her to God's grace. Mrs. Wright was preceded in death by her parents, Ilien and Harold Jones, twin sister Julie Jones and first husband, Raymond Yarnell. Gloria was survived by her husband, Curtis "Whit" Wright, for one day. Mr. Wright passed away Dec. 22, 2O18. She is survived by her son, Lance Yarnell, daughter-in-law, Krista and grandsons, Ray, Wanbli and Hink of Louisville, TN. Also from TN, two new grandchildren, Kassie and Dakota, adopted Sept. 2O17. Also survived by her brother, Steve Jones, his wife Karen of AK. Niece, Candice Mullendore and nephew, Greg Jones both of AK. Nieces, Joni Suddreth of Berea, OH and Jodi Suddreth Blevins of Homestead Falls, OH. One stepdaughter, Margie Palumbo of Naples, FL. Gloria's remains will be buried together with her husband’s at his graveside ceremony to be held at 2:00 p.m., Tuesday, Feb. 5, 2019 at the Maye River Baptist Church Cemetery, 3507 Okatie Highway, Bluffton, SC. Her Celebration of Life ceremony will be held this summer in Highlands, NC. Details will be announced in June. In lieu of flowers, Gloria's family wishes donations made in her honor sent to the Pediatric Burn Unit, Jaycee Burn Center of the University of North Carolina.